Meghan Cole was in her early twenties when she first got her hands in the soil as an apprentice on a small farm in her home state of Missouri. Though she had intended on only staying at the farm for a short apprenticeship, she was there for two full seasons. Her mentor was always quick to remind her that farming isn’t an easy way to earn a living. Twelve years and a degree in sustainable agriculture later, she can’t imagine living any other way. She’s passionate about growing food for her community in Talking Rock, Georgia and loves the freedoms and richness that are provided to her as a farmer. Her farm, Harvest Table Farm, is a mixed vegetable operation nestled in the foothills of the Blue Ridge Mountains. 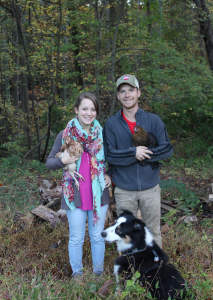 Meredith and her husband Guy met at their first farm job in Maryland in 2007. The agrarian bug bit them hard, and they pursued further experience and training, including the Apprenticeship in Ecological Horticulture at UC-Santa Cruz. While Guy went on to work on farms in Virginia and Massachusetts, Meredith went back to school for a masters degree in Agriculture. She had seen dozens of farm families survive only by having one spouse employed off-farm with health insurance. So she decided to leave the fields, but in doing so she accumulated over $45,000 of federal student loan debt to add to the $12,000 Guy had left over from undergrad. 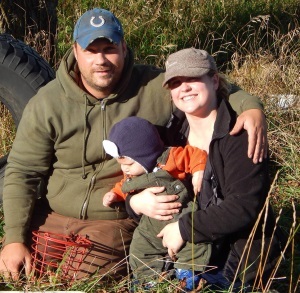 Meredith says, “When monthly loan payments are added on to other financial demands including rent, utilities, car payments, and insurance, the results are stifling.” Five years ago, they thought they would be starting their own farm by now. But that dream is a long way off, even though they are thoroughly trained in agriculture science and business management. Meredith and Guy could be contributing to local economic growth and community health by starting a sustainable farm with a sound business plan. For now, they wait. Meanwhile, they are both fortunate to be gainfully employed in the industry. Meredith says, “I now teach beginning farmers at a university certificate program, preparing them to go out and achieve the dream that she can’t. I hope that their debt from this schooling doesn’t do the same to them.” Guy works as the lead agricultural technician at the university’s new sustainable vegetable farm. 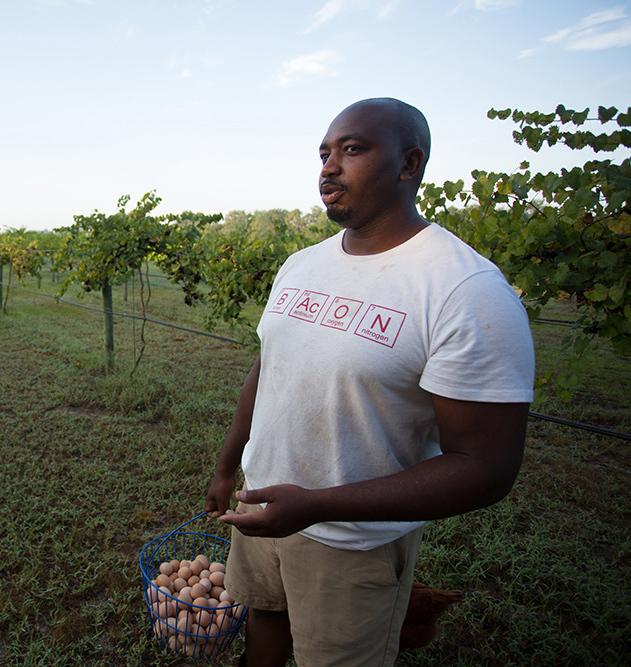 Fussy Gourmet Farms is a 477-acre paradise that prides itself on sustaining community, environment and local economy—but it’s not Davon’s farm. Davon currently owes $9,000 in student loan debt. With his monthly student loan payments, it’s difficult to make ends meet while raising a young family and trying to save for his own farm one day. 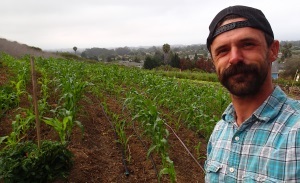 Jesse started a seed company in Southern California this year. He grows locally adapted, open-pollinated vegetable, herb, flower, and grain seeds with the help of friends in the area. While he has been working as a part-time elementary school teacher and garden educator, he is transitioning into farming full-time to support his growing business. As any farmer knows, starting a new farm is both difficult and expensive. After he’s done paying the bills for his farm, including the lease on his land, new tools, seeds, fertilizer, manure delivery, marketing, packaging, and gas, there is no money left to pay himself. It may not be a surprise to many farmers that Jesse has been operating at a loss in his first year. However, this does not stop his student loan bills. He still faces a monthly student loan payment that totals a third of his farm’s gross revenue. Lee started farming full time this past year, after an 18-year career in the Air Force. 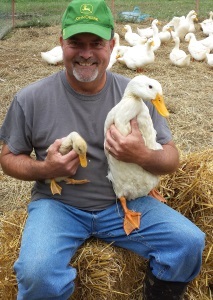 Along with his wife Dawn, he runs the 11-acre Dandelion Lane Farm in Northeast Ohio. Getting their farm up and running has required a lot of infrastructure. With all the money sunk into a tractor, rototiller, and high tunnels, there is not much left to live on, let alone make student loan payments. Lee already paid back three-quarters of his student loan debt before embarking on farming. For most people, the last few thousand dollars would not be a problem. However, as a new farmer, that last little bit makes all the difference. Matt is a ninth generation farmer whose family has been farming since before the Revolutionary War. His family provided horses to the war effort in both the Revolutionary and Civil Wars. Until recently, his family raised horses in southwestern Indiana. As non-farm development moved in around the family, property taxes spiked and the family was squeezed out. Now, Matt and his wife May have started their own farm in Aurora, WI. They operate a diversified farm, growing vegetables, flowers, herbs and raising pastured chickens, pork, and beef. Matt and May have the opportunity to buy a parcel of land that would connect their land with the highway. This additional parcel would allow them to build a farmstand along the road and expand their direct-to-consumer business. While the owner wants to sell them the land, their student loans are keeping them for qualifying for the loan needed to buy the land. “We are forced to rent our farm and the monthly rent is more than a mortgage payment would be, even when including insurance and repairs. Our landowner wants to sell to us, but we cannot get financing due to our student loans. My wife is a bank branch manager and still can’t get us a loan. Our student loan debts have forced us to miss payments on other bills and as a result we have messed up our credit trying to juggle the debt. In short our student loans are killing us. I have paid off my original amount twice already, but because of the interest I somehow owe more than double the original amount still. After graduating from college, Mara Estes found a love of farming while serving with AmeriCorps at a community gardening nonprofit. 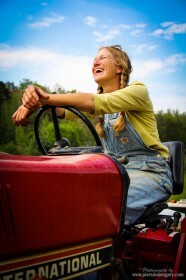 Working outdoors offered her a connection to the land and the ability to grow her own food. Since it was an AmeriCorps position, her work also offered student loan deferment and some limited loan forgiveness. 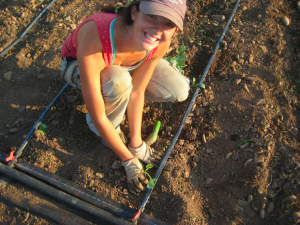 In order to pursue her passion for growing food, Mara took a farm internship. During that internship, she realized how much it costs to be a farmer. “It was too scary to even get too serious about farming.” She realized that, given her student loans, she needed to do work related to farming, but could not farm herself.